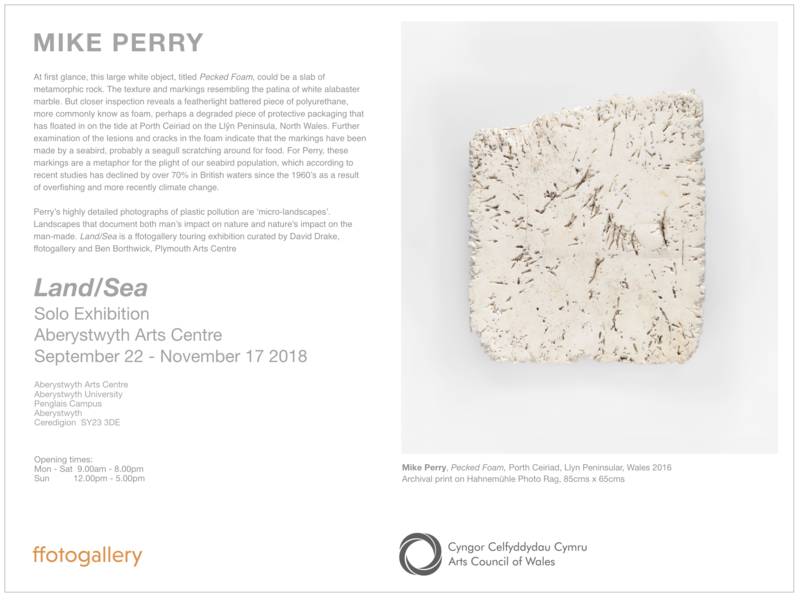 Mike Perry is an artist whose work engages with significant and pressing environmental issues, in particular the tension between human activity and interventions in the natural environment, and the fragility of the planet’s ecosystems. Land/Sea is a major new Ffotogallery exhibition, which brings together recent bodies of work addressing how the natural biodiversity of landscapes and marine environments is undermined and made toxic by human neglect, agricultural mismanagement and the pursuit of short-term profit at the expense of long-term sustainability. 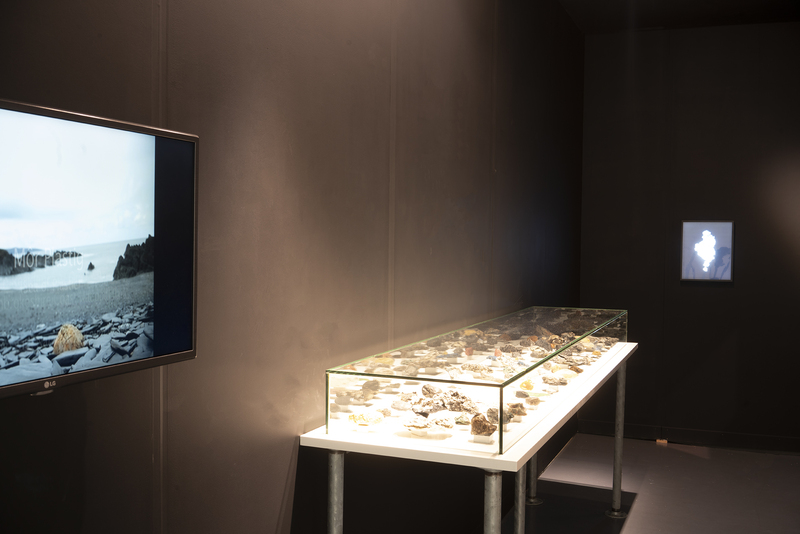 Using a large format analogue camera and combining painterly aesthetics with a hard-edged environmental narrative, the photographic images in Wet Deserts shed a very different light on the health of the upland landscape than one is accustomed to seeing in tourist brochures or romantic paintings and landscape photography. 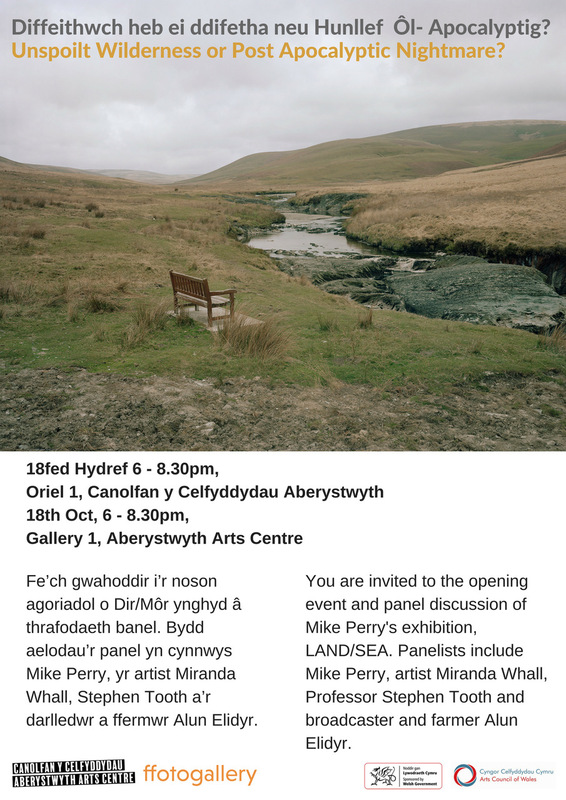 Perry focuses his gaze on mundane and typically overlooked locations here in Wales, often in places commonly referred to as areas of natural beauty, our national parks. 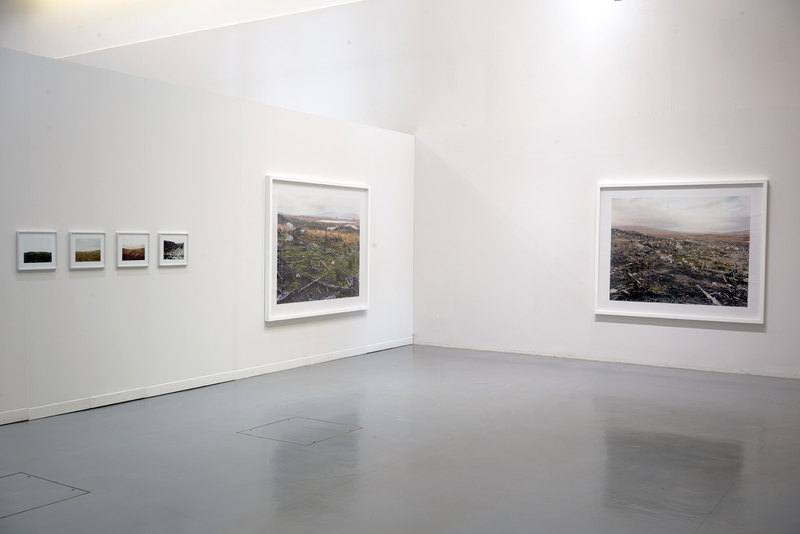 He does not offer us dramatic aerial vistas of oil-polluted landscapes, but low-angle, near distance images of charred scrubland and landscapes left barren from tree-felling or over intensive sheep farming. Perry’s work resists easy categorisation. Photography is central to his practice, yet always in its multifaceted relationship to and dialogue with painting and drawing, sculpture and installation art. The influence of Minimalism is strong with serial arrangements, grids, and an interest in form, surface detail and abstraction. 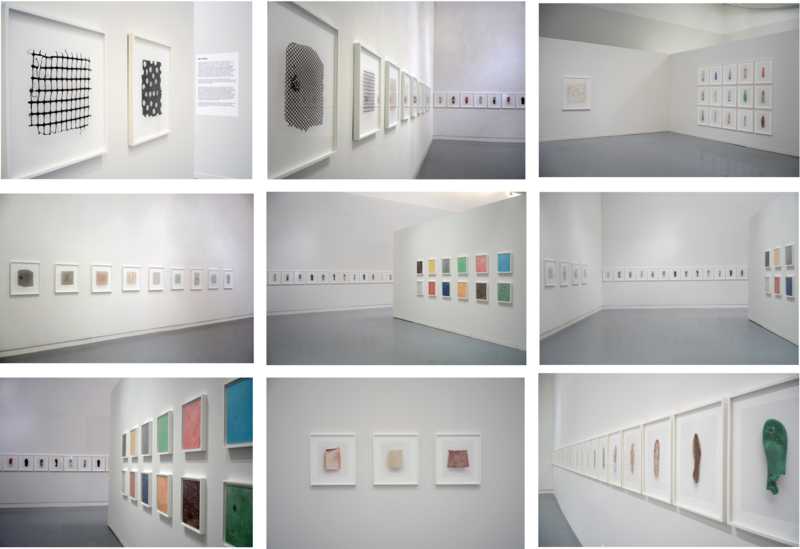 Repetition of visual motifs in specific bodies of work is deployed as an artistic strategy that is cumulative and greater than its parts, teasing out subtle differences whilst alerting us to the dystopian consequences of waste proliferation and environmental mismanagement. Land/Sea is a Ffotogallery Touring Exhibition, originally curated by David Drake, Ffotogallery, and Ben Borthwick, Plymouth Arts Centre. It was adapted for Aberystwyth Arts Centre by Ffion Rhys and Mike Perry. It includes a sonic work exploring the exhibition themes made by the artist and composer Matthew Lovett. The accompanying Ffotogallery publication includes contributions from the writers George Monbiot and Skye Sherwin.